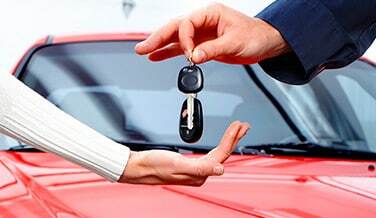 Do you have a car loan or lease through Motor Finance Wizard? Find out if you have been affected and what you need to know. ASIC has taken action against Motor Finance Wizard for failing to adequately check income and expenses of customers before signing them up to loans and leases. Motor Finance Wizard who offer loans and leases for secondhand vehicles has been found negligent and accepted an enforceable agreement with ASIC to refund $11 million worth of refunds and write-off’s to 1,511 customers who were approved for a loan between 1 July 2010 and 16 July 2014. They have also been ordered to pay $100,000 to a community benefit program. Motor Finance Wizard are also required to engage an independent expert to review it’s current business operations and report their findings to ASIC. ASIC has found that they have breached their responsible lending obligations by not adequately verifying customers expenses and income, therefore entering into contracts that were unsuitable or that customers couldn’t afford. ASIC is also requiring Motor Finance Wizard to reassess each customers ability to make payments. Customers are to be given the option of whether they want to stay with the loan or terminate their loan. If customers elect to keep their lease they are also said to be given the option to keep their car at the end of the lease. How do you know if you are entitled to a refund or not? Motor Wizard finance will be contacting all of their affected customers via phone, email or mail. However if you signed a contract with them between 1st July 2010 and 16th July 2014 and haven’t been contact you can contact them on 13 22 75 and investigate if you are due a refund or not. If you have suffered additional financial hardship due to not being able to afford your loan you may apply for additional funds and should contact Motor Wizard Finance or ASIC. For more information you can contact the ASIC Moneysmart website. Motor Finance Wizard in hot water Overall rating: 4.8 out of 5 based on 60 reviews.